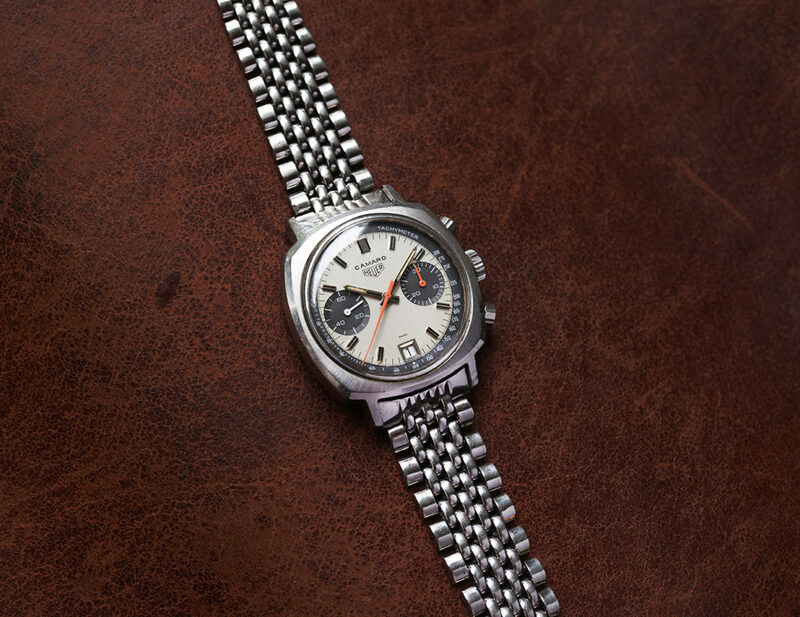 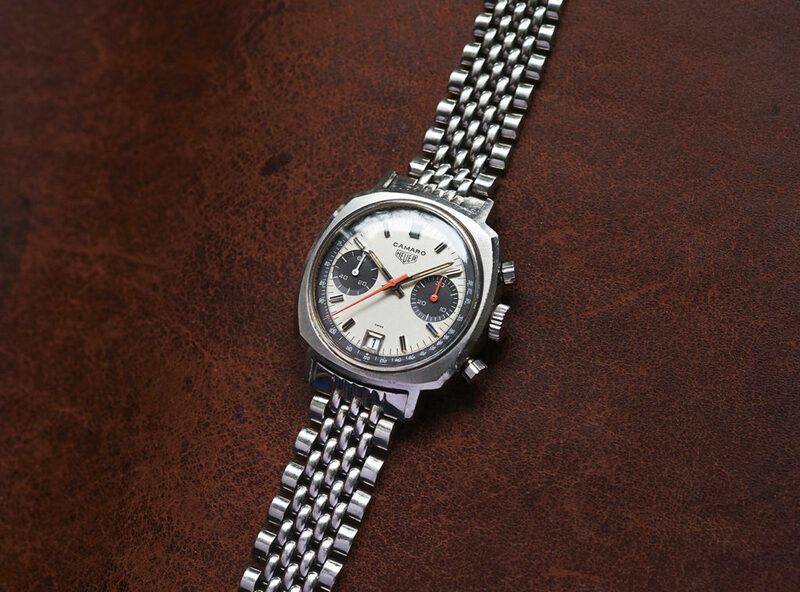 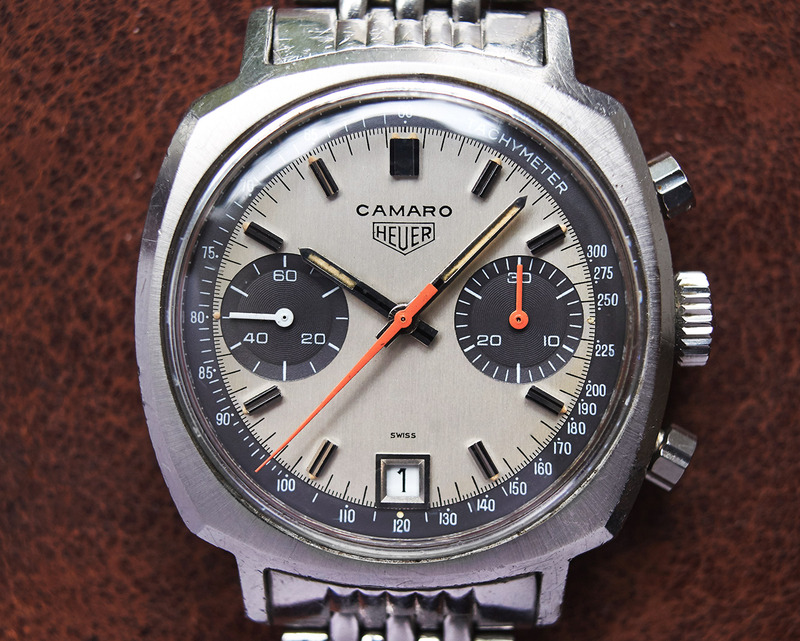 This beautiful Chronograph from 1969 is in full authentic condition with an untouched dial and hands as well. 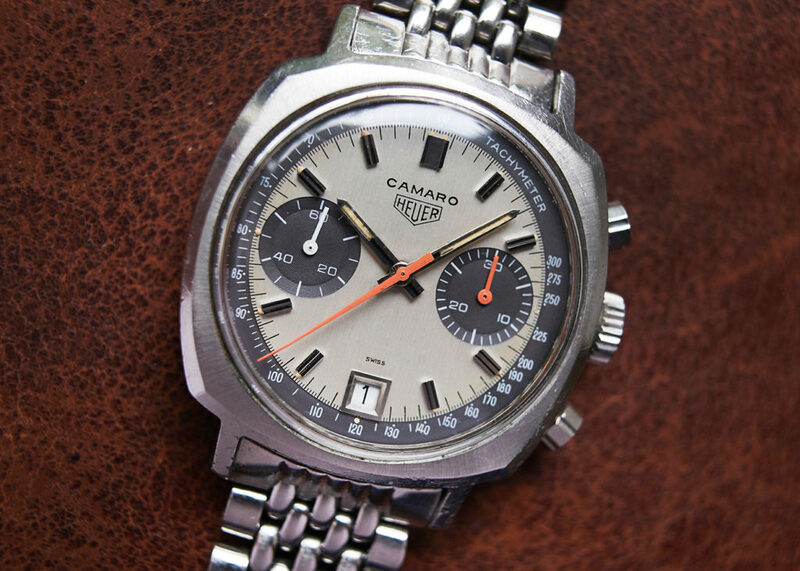 The case is still unpolished in it´s original sharp shape with clearly readable numbers between the lugs (73443/213715). 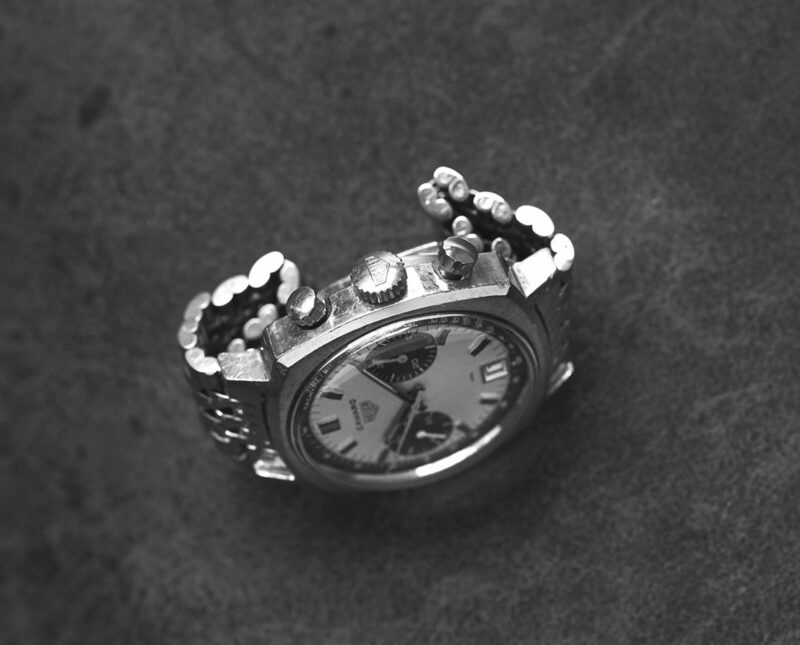 The Heuer Leonidas engraved Valjoux 7733 movement was checked through by our watchmaker and runs absolutely exact in all functions. 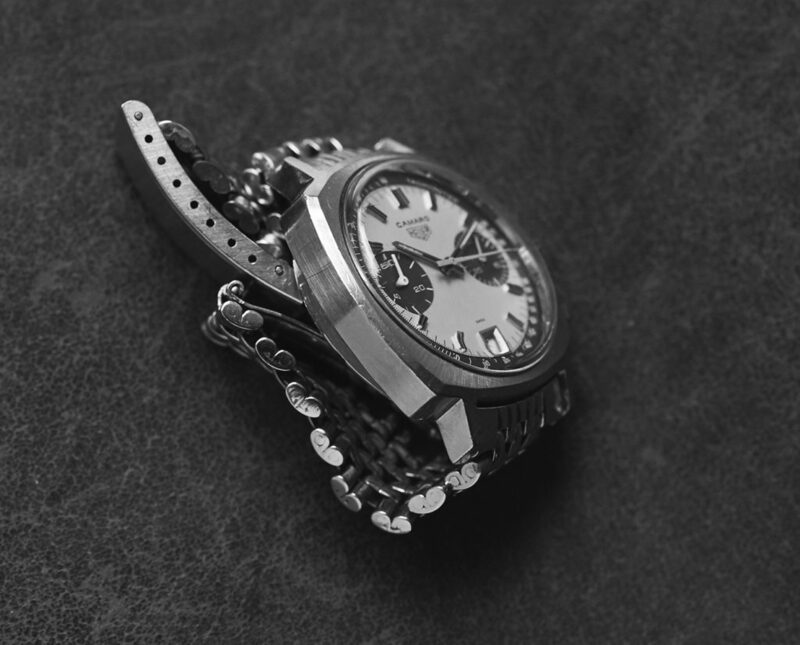 This piece comes on a folded generic steel bracelet with original HLA Gay Freres endlinks for Camaros.